While great customer service, individualized attention and professional performances will always be at the core of the Luminous Sounds mission; we have always strived to provide unique, memorable experiences for our guests. In keeping with this idea, we have decided to expand our ensemble offerings to include two new additional performers. The Illuminate String Quartet is rather unique on its own. There are few professional string quartets in the Long Island/New York area that specialize in performing popular music to begin with. There is an even smaller number that perform this music at a professional level with exceptional pop music arrangements. I am proud to say that we are the only group in New York that has expanded to utilize a professional percussionist in conjunction with the Illuminate String Quartet. We are so excited about this collaboration and our clients are raving about it as well! The addition of light percussion (cajon, shakers, cymbal, etc.) adds an energetic background to our already entertaining arrangements. The presence of the percussion makes our arrangements come to life, make the sound more full and allow the selections to sound more like the original compositions. This combination is sure to get guests excited during cocktail hour and they will certainly be ready to have fun during your reception. The choices made by our percussionist are tasteful and are not overpowering. Our group is heard clearly and will not cover conversation while your guests are socializing during cocktail hour. Below, please take a listen to two versions of “Zombie” by the Cranberries to hear the Illuminate String Quartet play this piece both with percussion and without. 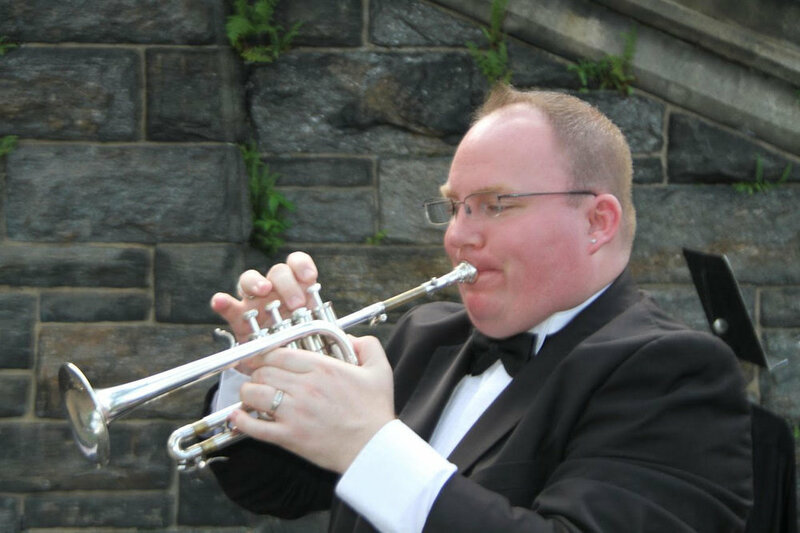 We are now also offering a professional trumpeter to perform along with our classical string quartet. While the percussion option discussed above is best suited for cocktail hours and corporate events, the addition of trumpet is something that is best suited for wedding ceremonies. Often, clients desire a brass instrument presence at their wedding ceremonies in addition to having a string quartet. Having both a brass ensemble and a string quartet perform is certainly beautiful, however, it is also very expensive. Having a trumpeter perform along with one of our classical string quartets is the perfect way to have the best of both worlds. Below is a video of our Classical String Quaret + Trumpet performing, "Trumpet Tune" by Purcell. Take a listen below to some of our available arrangements featuring our Classical String Quartet and Trumpet. Our musicians are truly top-notch professionals and I encourage you to read their respective bios by clicking below. Please visit us at www.luminoussounds.com to check availability and learn more about booking one of our ensembles to perform for your wedding or event.